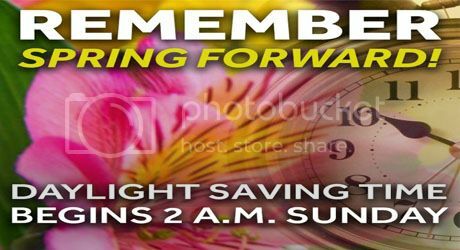 Alex O'Loughlin's Place • View topic - Day Light Savings Spring Forward 2018! Day Light Savings Spring Forward 2018! Remember to set your clocks ahead 1 hour before you go to bed Saturday March 10th.